The church in Thessalonica underwent persecution, but nonetheless exhibited the joy of the Lord, despite their trials. That’s what happens when God’s presence is very real, as it is during times of revival. 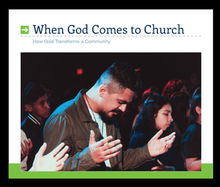 In this message we look at what happens to a church when God shows up.